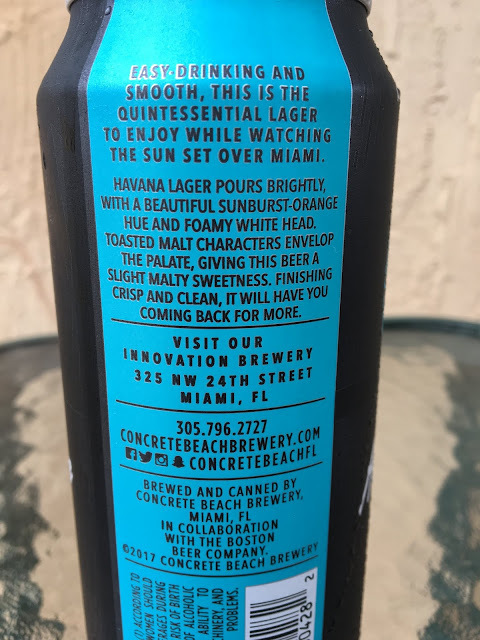 "[Concrete Beach's Havana Lager] is the quintessential lager to enjoy while watching the sun set over Miami," according to the brewery's website. Unfortunately, there ain't no sun in town this Memorial Day weekend as Tropical Storm Alberto passed by and dumped a ridiculous amount of rain on Miami! However, I'm pretty good at enjoying a beer under any circumstance, especially one that recently won Bronze at the 2018 World Beer Cup in the Vienna-Style Lager category. A little story on the pounder can sets your expectations. 5.2% alcohol. Toasty aroma, light honey sweetness. Same flavors, toasty with a hint of honey and grainy sweetness. Nice bitter bite and answer, a clean and refreshing answer to the initial sweetness. 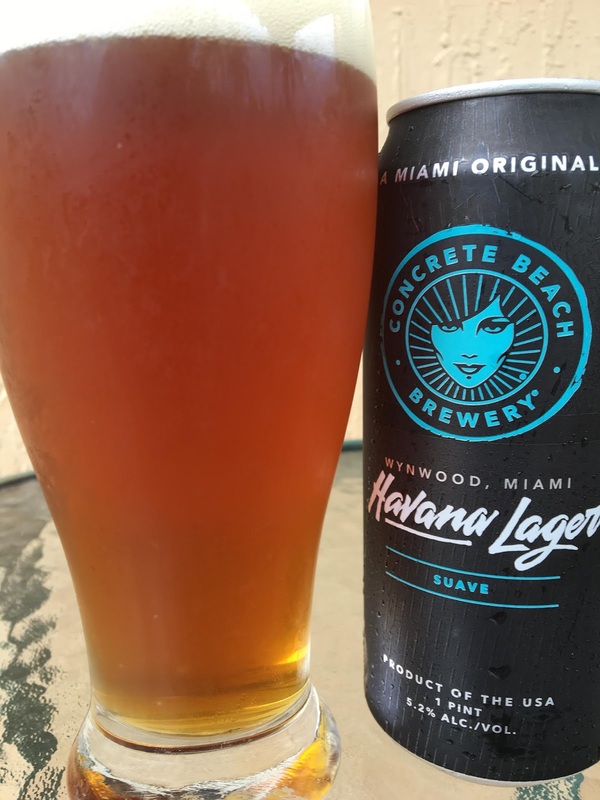 Nice flavors, Tasty beer!